Are you looking for accommodation near the Gold Coast theme parks? 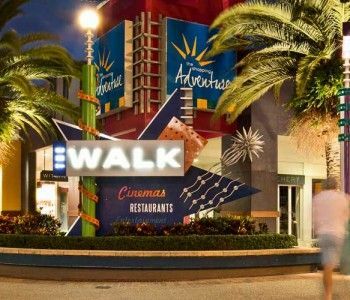 Find the best accommodation spot on the Gold Coast that puts you in a location that is central to Movie World, Wet n Wild, Dream World, White Water World and Sea World. Blue Waters Apartments are situated near the beautiful Broadwater and a short drive to all the fun of the Gold Coast theme parks. Blue Waters Apartments offer spacious, clean and modern accommodation on the fabulous Broadwater and is located close to all the great Gold Coast theme parks. 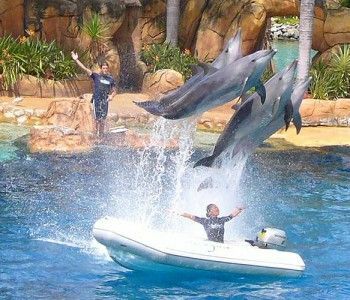 At less than 5 minutes drive to the Main Beach location at Seaworld, or a leisurely 15 minute drive west to Movie World, Wet n Wild, Dream World, White Water World or the Australian Outback Spectacular, you are in theme park heavan. Make your holiday dollars go further with our two and three bedroom options available (perfect for families) at Blue Waters Apartments. Whether you are looking for a romantic escape, or a trip away with the family these inexpensive two bedroom apartments will make any visit to the Gold Coast an enjoyable and memorable experience. These Gold Coast holiday apartments offer excellent amenities onsite, such as a barbeque area, a salt water pool and plenty of loungers, chairs and umbrellas for a thoroughly enjoyable poolside holiday. Wireless broadband is available and also a full service Tour Desk to ensure your family’s entertainment schedule is booked and organised. Secure parking is also included as a ground floor service, an amenity not to be taken for granted as few other nearby properties in the area can offer this service. 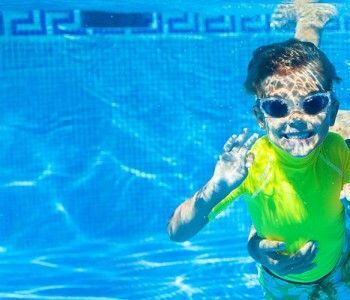 For family accommodation that is convenient and central to all the major theme parks on the Gold Coast, Blue Waters Apartments will tick all the boxes. With so much to see and do, book your accommodation near the Gold Coast theme parks at Blue Water apartments.